FAFSA filing date is coming up October 1, 2018! Do not miss this opportunity for government funded education! To provide students the educational and social foundation that will promote personal success. On the wind-swept plains of the Oklahoma Panhandle lies the pioneer town of Beaver, Oklahoma, the first town built in the territory known as "No Man's Land." It grew from a small trading post on the Beaver River to a town of cattle trails, vigilante justice, and strong pioneer stock. The town has outlasted outlaws and gunfights, oil booms and oil busts, droughts and floods, dust storms and tornadoes. Each event made us stronger and more determined. Almost as soon as the first cattle drive came through in 1886, the people started building schools and churches. Education has always been a priority to this community, and the school has always been a center of learning, activity, entertainment and community pride. 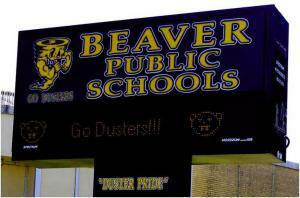 Beaver Schools is one of the premier learning institutions in the state. It has garnered numerous awards and is known for its innovative approach to education. It offers advanced technology combined with an emphasis on fundamentals ... small classes with expert teachers guiding the way...first-class athletic facilities that have produced a long list of champions...in academics, in athletics, in music, in providing tomorrow's leaders and citizens ... 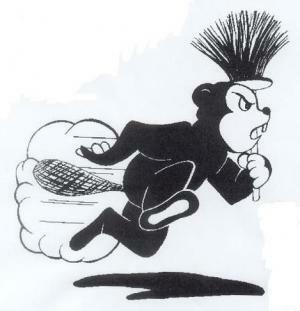 This is the Home of the Beaver Dusters. COMMON SENSE MEDIA FOR PARENTS - Digital citizenship needs to be taught to our students at school and home. These are a couple of good resources. ThinkB4U.com This is a great web site for students, parents and teachers to learn about many issues regarding social networking (Facebook, XBoxLive, Twitter, etc.) It is interactive and loaded with very good information.